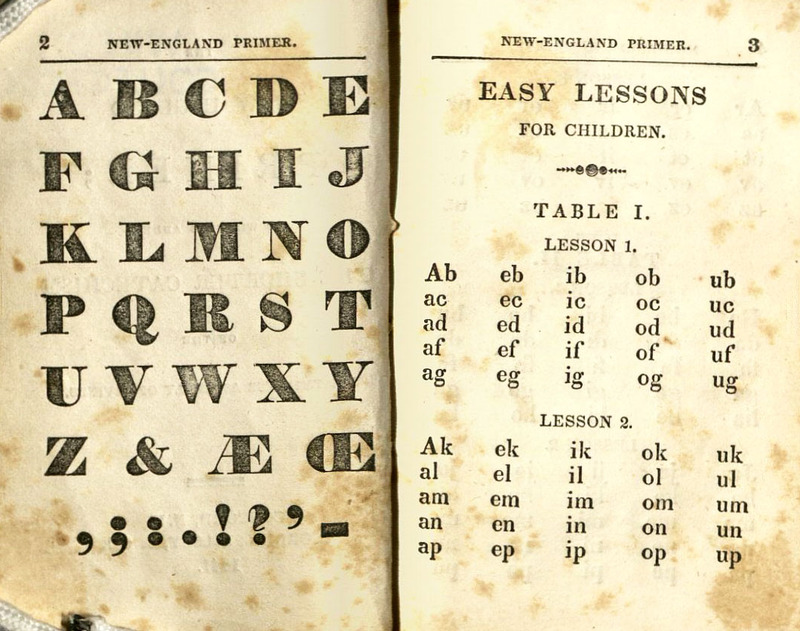 Primers were a type of textbook used to teach beginning students how to read. 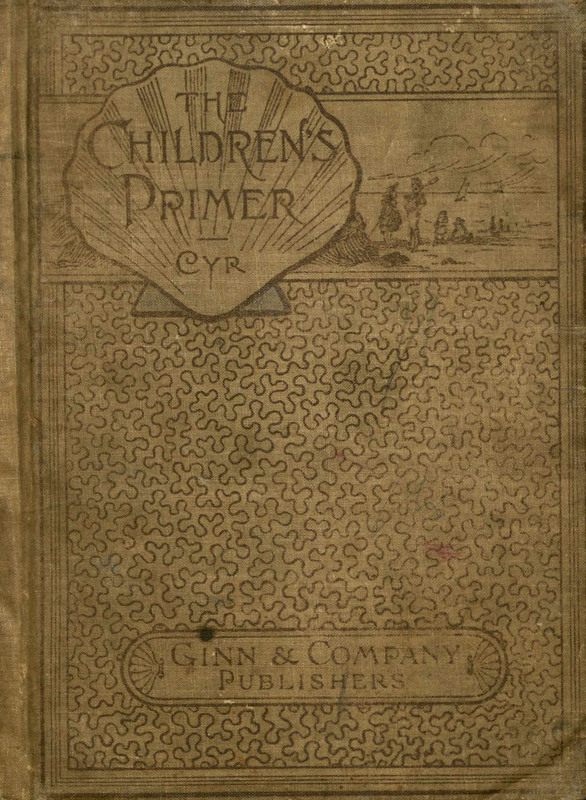 Early examples of primers date back to the 15th and 16th centuries, at which time they bore little resemblance to textbooks used for the same purpose today. 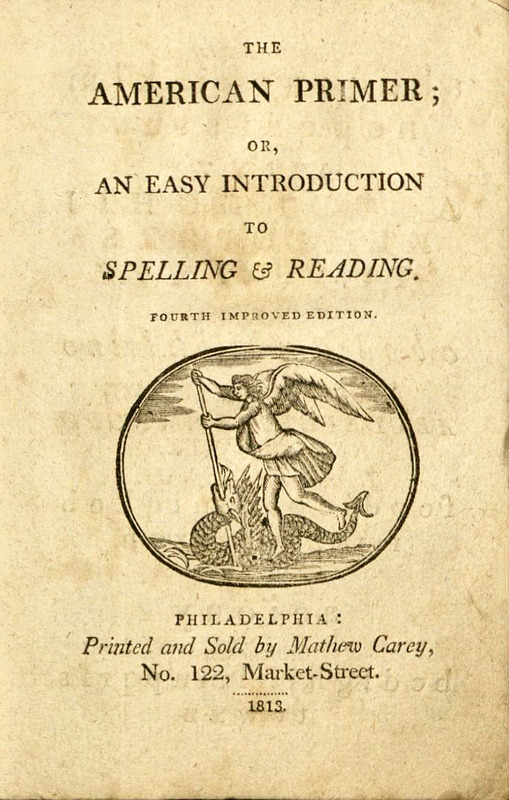 Their contents typically consisted of word lists, catechisms, prayers, and religious stories about saints and martyrs, in keeping with the prevailing idea that children needed direct and intentional intervention to become good, moral, and responsible adults. 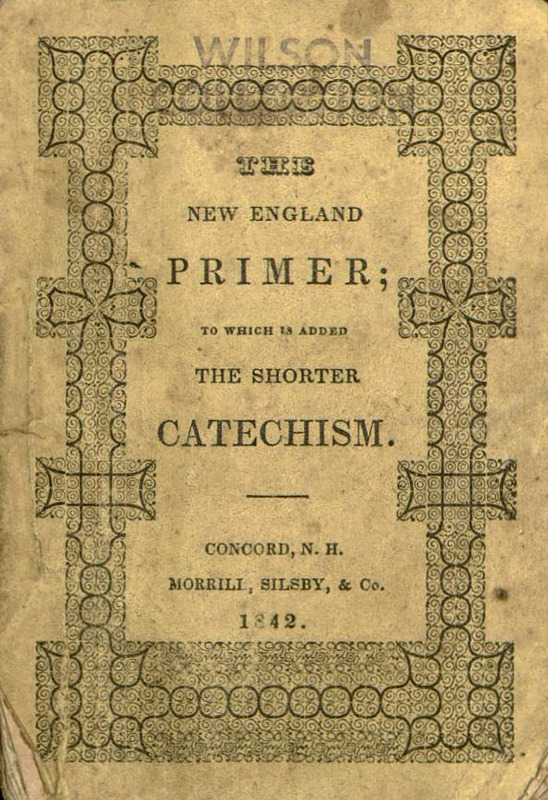 Published in the 17th century, The New England Primer was the first primer published in the American colonies. 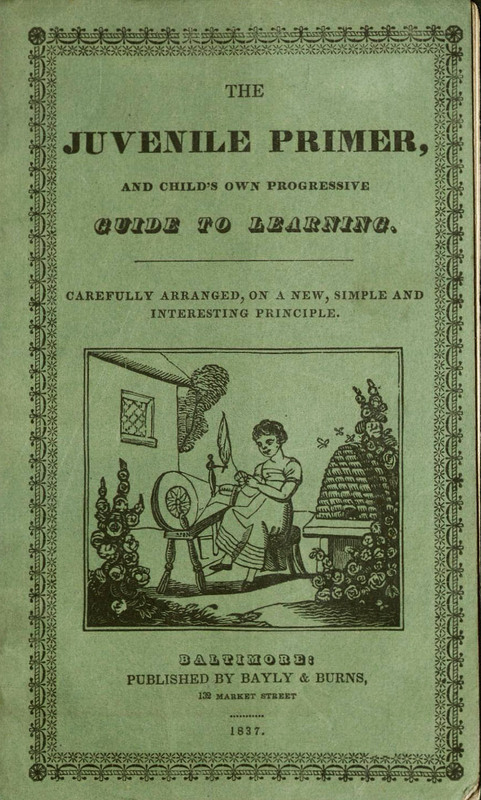 While it stayed in publication into the 19th century, sometimes adopting new pedagogies for learning, its content remained morally and religiously informed. 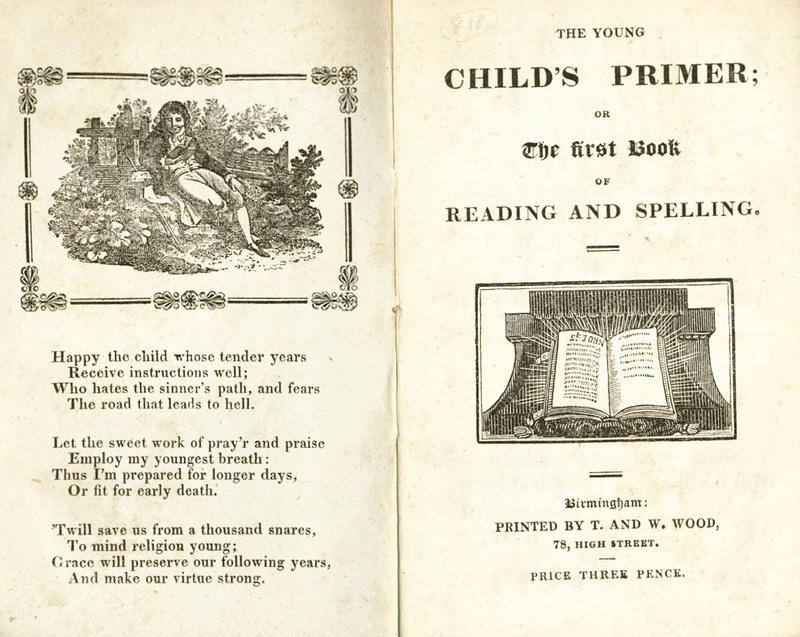 By the 19th century, the contents of many primers had shifted to reflect a new conception of childhood. 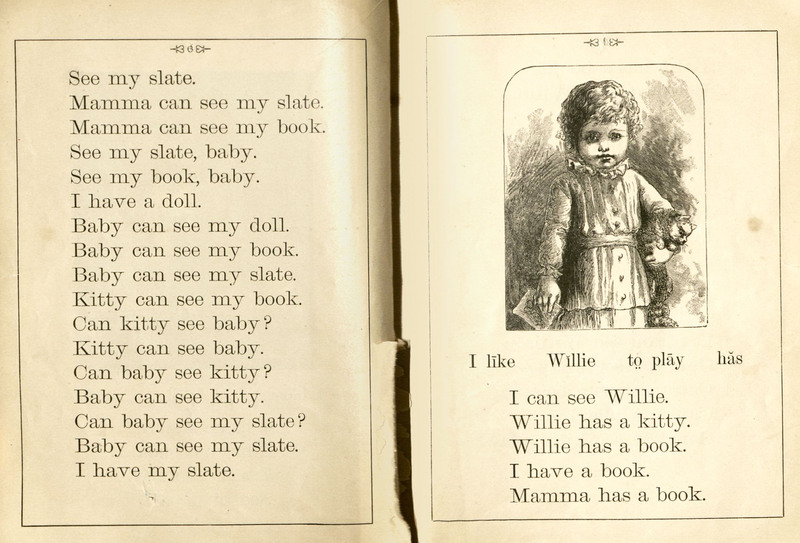 New primers took an approach to reading instruction that attempted to engage children as active participants in learning as they reviewed text and images together, often comparing written words in their textbooks with their own past experiences. 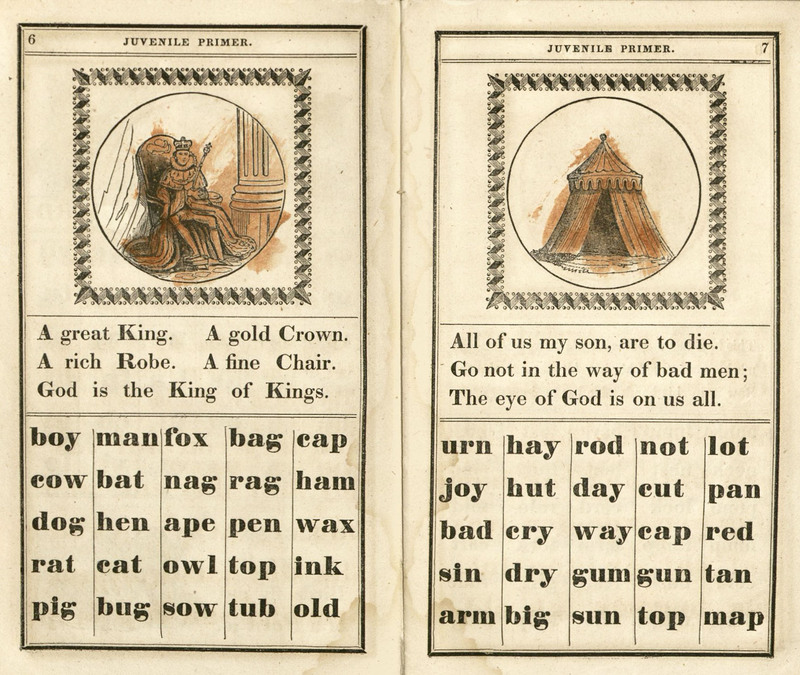 Young students who studied these primers were expected to become literate through a combination of memorization and phonics. 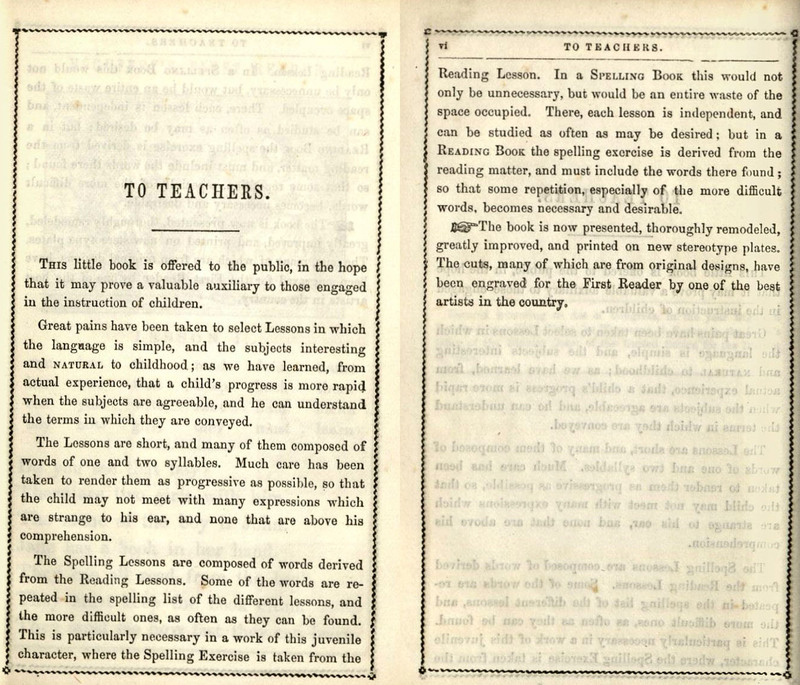 Special Collections and Archives holds many examples of these more secular primers from the 19th century. 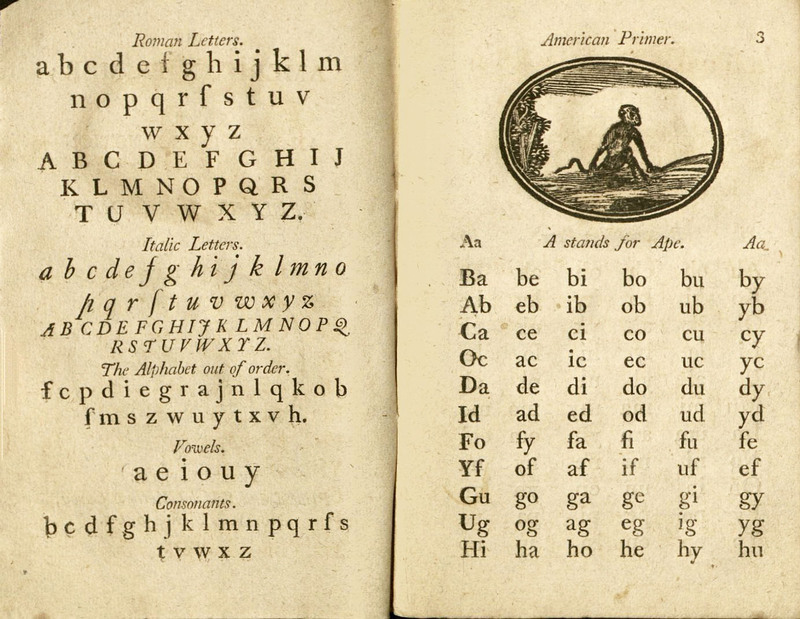 In The American Primer (1813), early pages of the book show the complete alphabet in upper- and lower-case, in roman and italic letters, as well as consonant-vowel combinations. 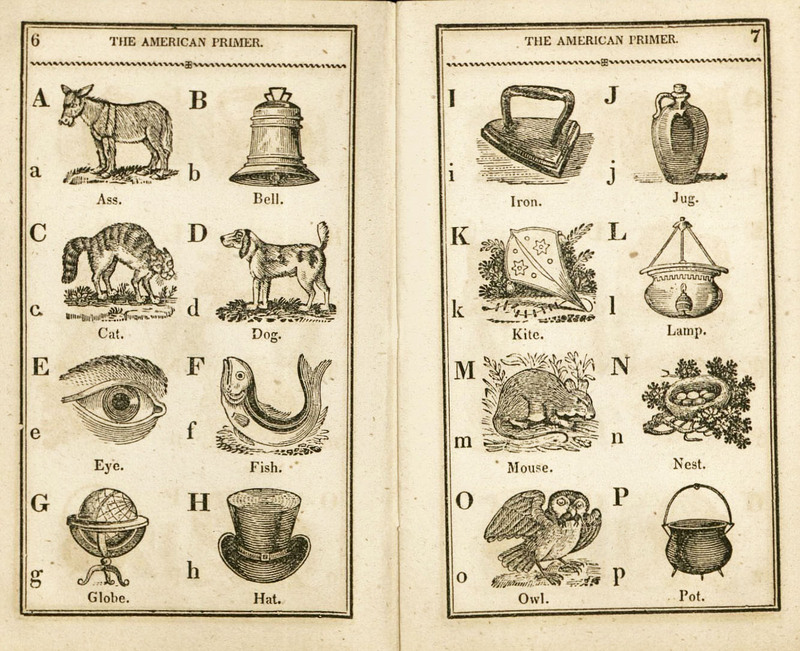 M'Carty's American Primer (1828) uses small pictures of animals and items familiar to children, including a bell, a cat, and a dog to teach the alphabet and each letter's sound to small children. 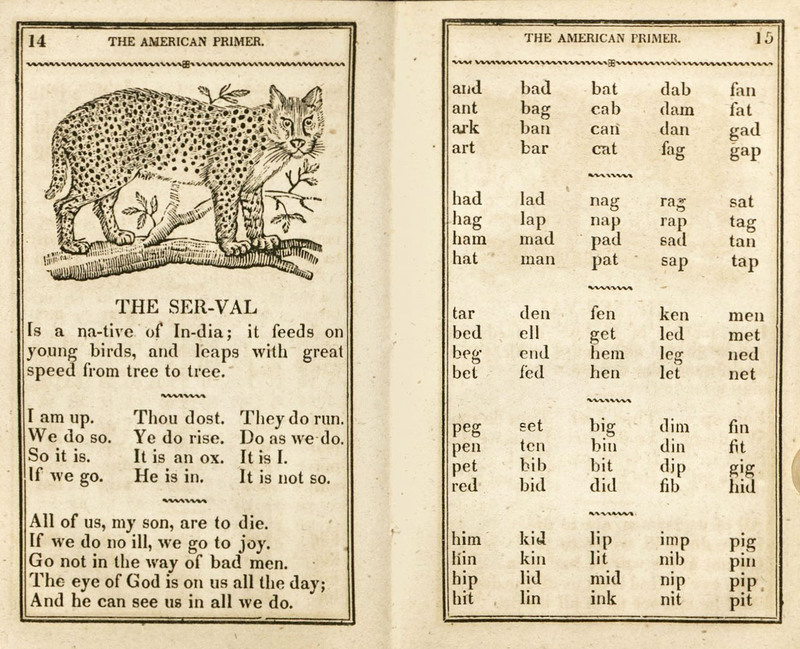 Later pages feature short sentences comprised mostly of one-syllable words, and feature content the children may not be immediately familiar with, including a sentence about servals. 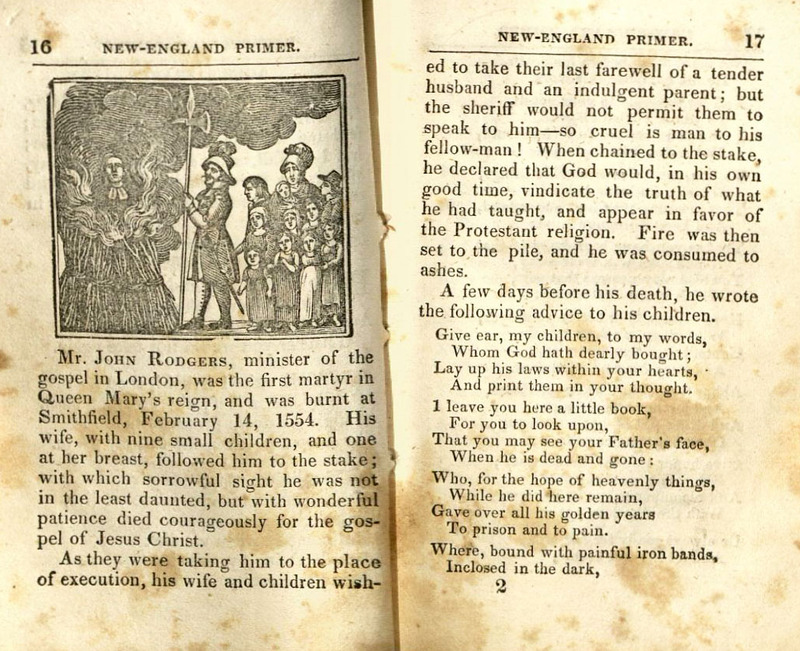 The Juvenile Primer (1837) includes images that were colored in by a past student, and serves as evidence that even in more secular primers religious content was sometimes present. 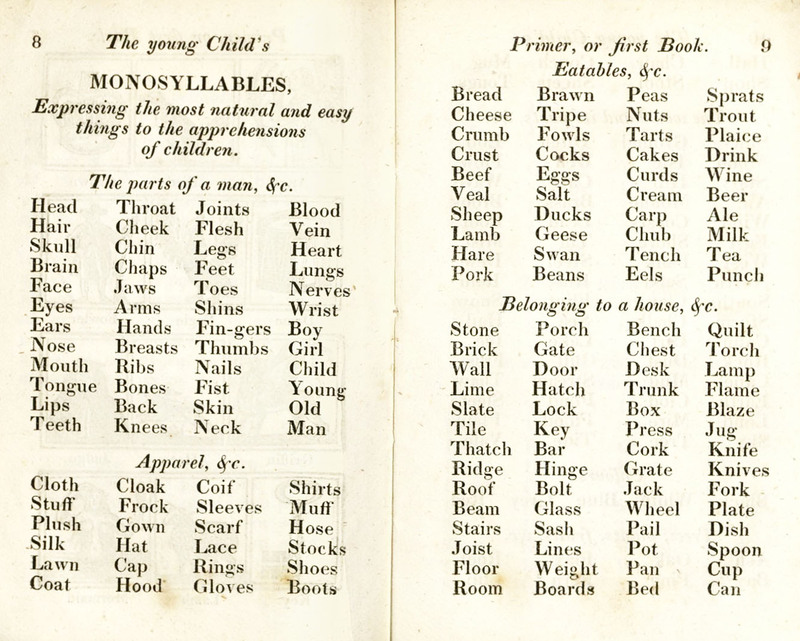 The Young Child's Primer (1840) includes categorized lists of vocabulary words for students to study and memorize, including "The parts of a man." 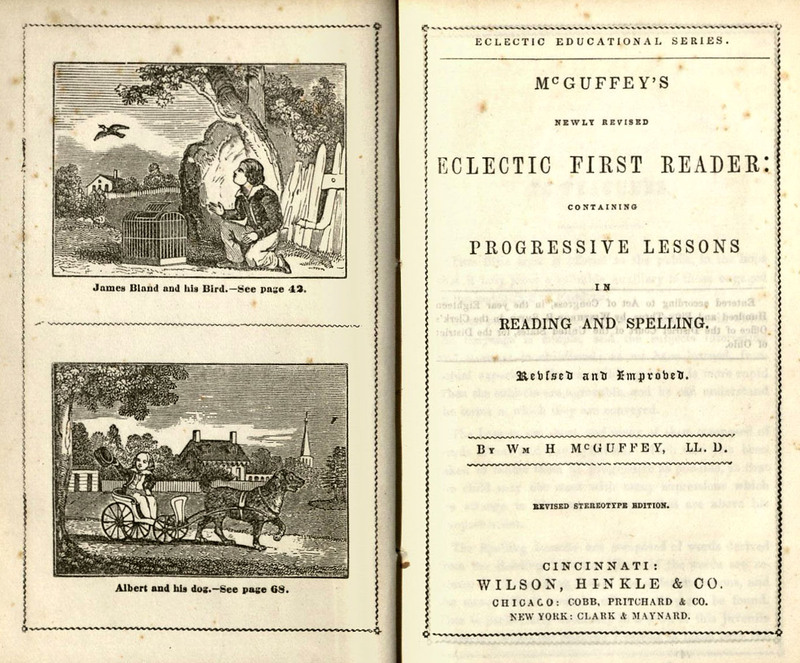 Among the most well-known primers are the McGuffey Eclectic Readers. 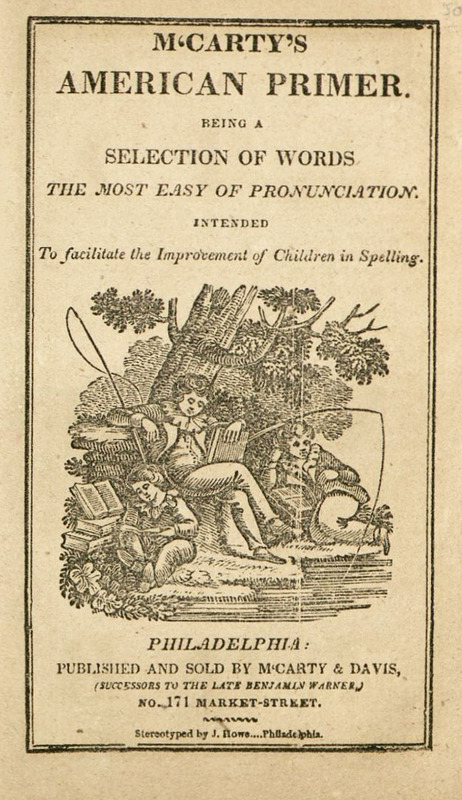 The 1853 edition of the Eclectic First Reader is featured in the gallery below, and includes a short introductory essay for teachers that explains "[g]reat pains have been taken to select Lessons in which the language is simple, and the subjects interesting and natural to childhood; as we have learned from actual experience, that a child's progress is more rapid when the subjects are agreeable, and he can understand the terms in which they are conveyed." (p. 5.) 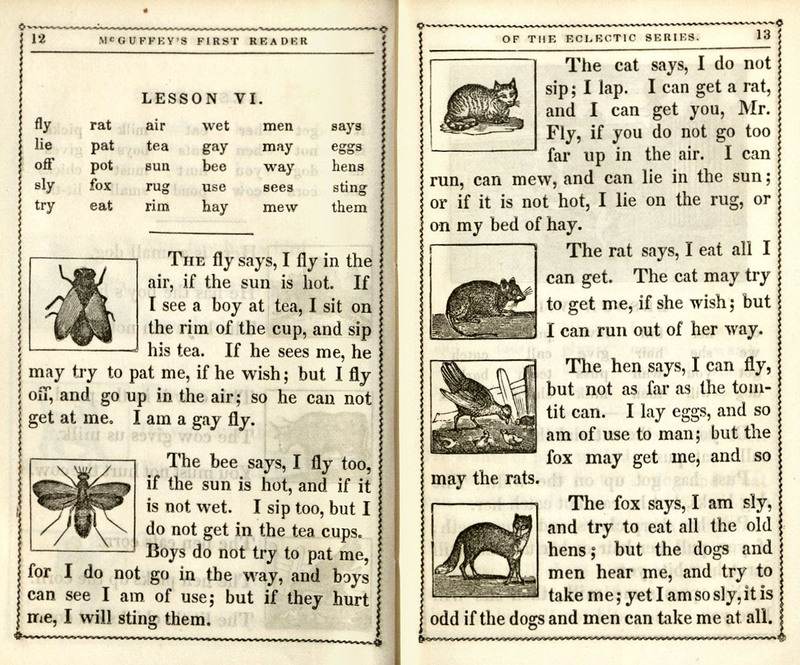 It combined vocabulary lists, short sentences using the newly-presented words, and pictures on later pages. 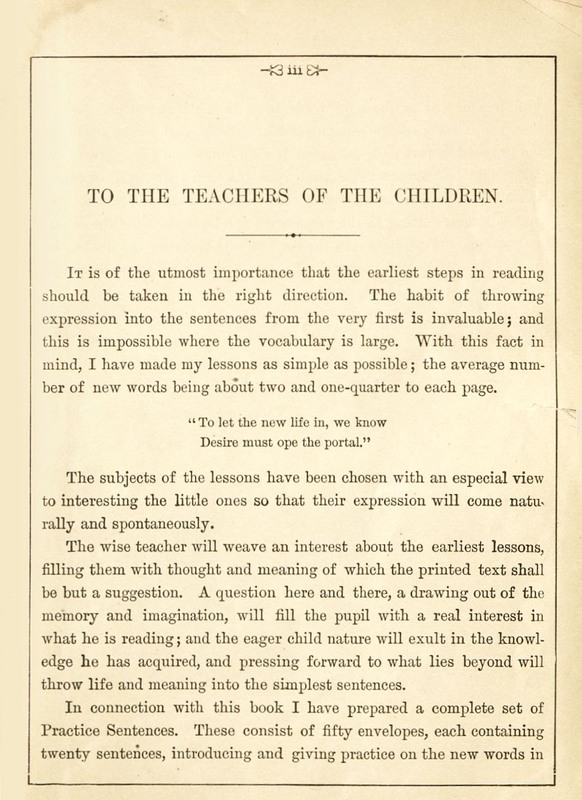 Finally, The Children's Primer (1894) also begins with an essay directed at teachers, with later pages containing short sentences that sometimes rhyme.